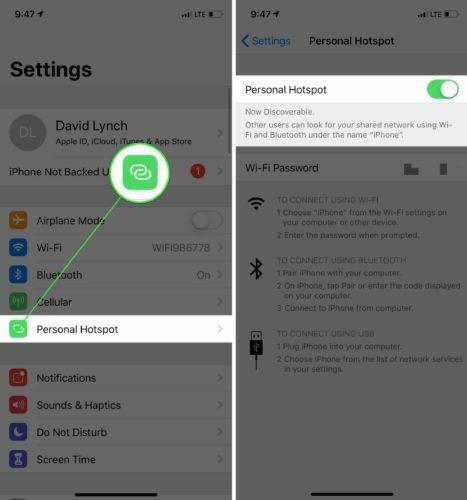 How To Tether An iPhone: The Guide To Setting Up A Personal Hotspot! 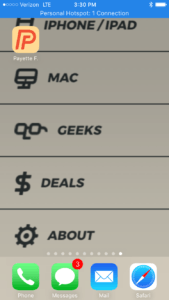 You are at:Home»iPhone»Cellular»How To Tether An iPhone: The Guide To Setting Up Personal Hotspot! You want to surf the web on your laptop or tablet, but you don’t have a Wi-Fi connection. Perhaps you’ve heard of a personal hotspot before, but you don’t know how to set it up or how it will impact your data plan. 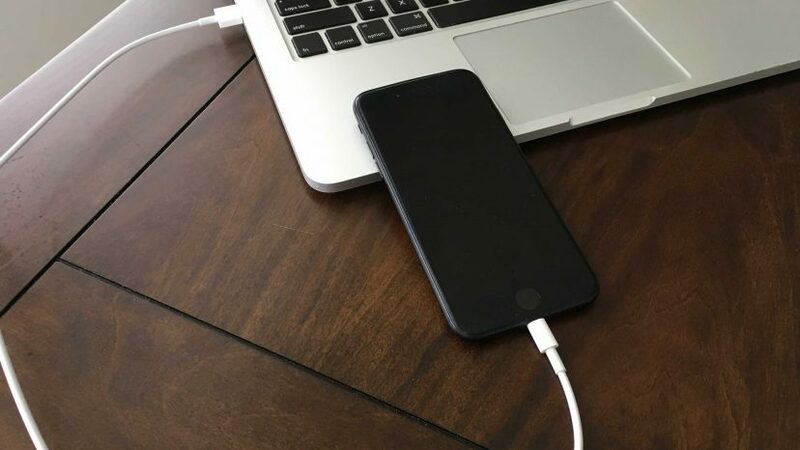 In this article, I’ll explain what tethering is, how to tether an iPhone to another device, and how setting up a personal hotspot affects your wireless data plan. Tethering is the process of connecting one device to another to connect to the internet. Usually, you hook up a device with no data plan (such as your laptop or iPad) to the internet using your iPhone’s data plan. The term “tethering” was popularized by the iPhone jailbreak community because originally you could only tether with a jailbroken iPhone. Check out our article to learn more about jailbreaking an iPhone. To tether an iPhone, open Settings and tap Personal Hotspot. Then, tap the switch next to Personal Hotspot to turn it on. You’ll know the switch is on when it is green. At the bottom of the Personal Hotspot menu, you’ll see instructions for the three ways you can connect other devices to the personal hotspot you’ve just turned on: Wi-Fi, Bluetooth, and USB. When you successfully tether your iPhone to another device using Personal Hotspot, you’ll see a notification in a blue bar at the top of your iPhone’s screen which says, “Personal Hotspot: # Connections”. Should I Use Wi-Fi Or Mobile Hotspot? We recommend that you always use Wi-Fi when it’s available. Connecting to Wi-Fi doesn’t use up your iPhone’s data and your speed will never get throttled — which means slowed down after you’ve used a certain amount of data. Wi-Fi is typically faster than a mobile hotspot anyway, regardless of throttling. How Much Data Does Personal Hotspot Use On My iPhone? Ultimately, that depends on what websites you visit and what you’re actually doing online. Activities like streaming videos on Netflix and downloading large files will use a lot more data than if you’re just surfing the web. If I Have Unlimited Data, Does It Cost Extra To Set Up Personal Hotspot? The cost of using personal hotspot varies depending on your wireless provider and the type of plan you have. With new unlimited data plans, you get a certain amount of data at high speeds. Then, your wireless provider throttles your data usage, meaning that any data you use after you reached that limit will be significantly slower. So, while you won’t be charged anything extra, your internet speeds will be very, very slow. Below, we’ve created a table which compares high-end unlimited data plans of wireless carriers and how the affect your ability to use mobile hotspot on your iPhone. If you’re tethering your iPhone to your Mac, close all of the programs in the background of your Mac that could be using additional data. For example, the Mail app constantly checks for new emails, which can be a serious drain on your data plan. Always use Wi-Fi instead of mobile hotspot. Using mobile hotspot on your iPhone drains its battery more quickly, so make sure to keep an eye on battery life before tethering! Internet Access Anywhere You Go! You now know how to tether an iPhone and set up personal hotspot so you can always surf the web, even without Wi-Fi. We hope you’ll share this article on social media, or leave us a comment down below if you have any other iPhone related questions. Thanks for reading, and remember to always Payette Forward! Previous ArticleiPhone Cellular Data Not Working? Here’s The Real Fix! Next Article My iPhone Says iMessage Is “Waiting For Activation”. Here’s The Fix!